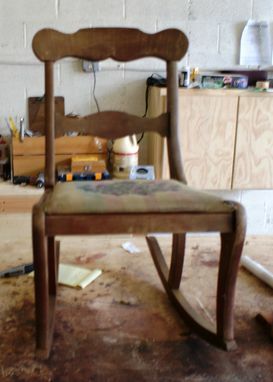 A customer brought us an old family rocking chair that they wanted to have restored and refinished. 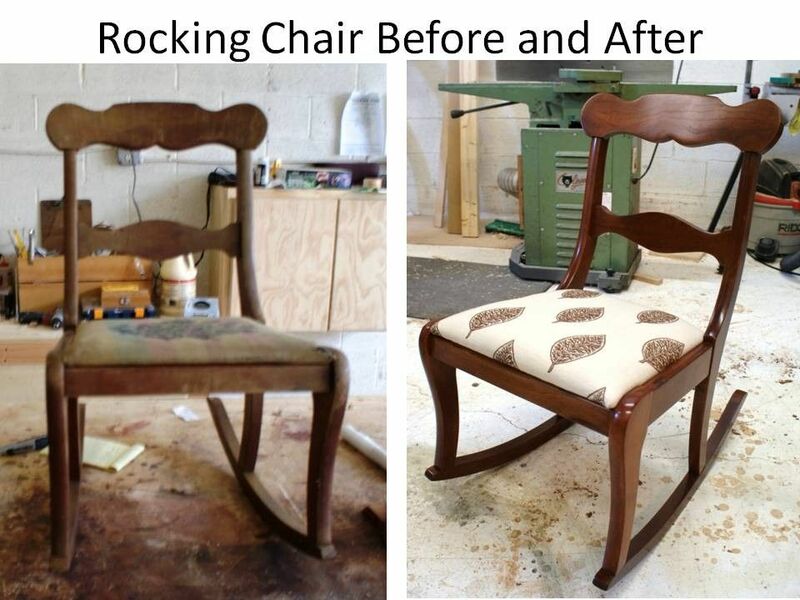 Check out the before/in process/after pictures. 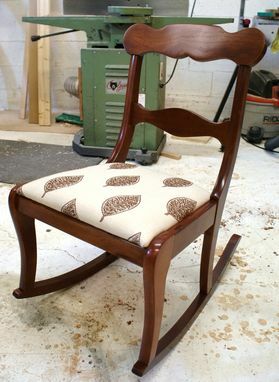 It turned out to be a beautiful natural cherry wood. 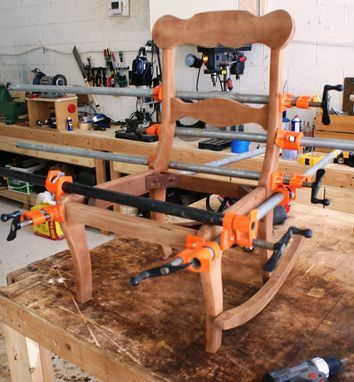 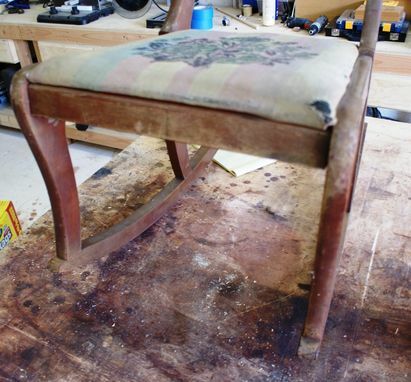 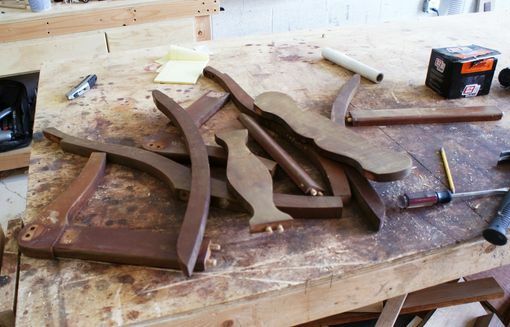 We were thrilled to bring this chair back to life and make them happy!